Looking for some extra value in your bets? Looking for the edge to help climb your tipping competition ladder? Tip Ammo Tipping and Betting Assistant for EPL is the ultimate sidekick for tippers and punters. Tip Ammo provides you with predictions and confidence levels for all upcoming games based on our finely tuned win/loss calculator. But we don't stop there, since they are your tips you have the option to tweak our formula exactly to your liking with our easy-to-use weighting sliders. Factor in betting odds, head-to-head results, recent results and home and away records in any combination you like and the prediction updates like magic. Recent form isn't important to you? No worries - take it out of the equation, it's that simple! With Tip Ammo you have a wealth of information about upcoming games, wins, losses, ladder position, odds and so much more, right at your fingertips. - Tip Ammo exclusive predictions to help with your tipping and betting throughout the year. 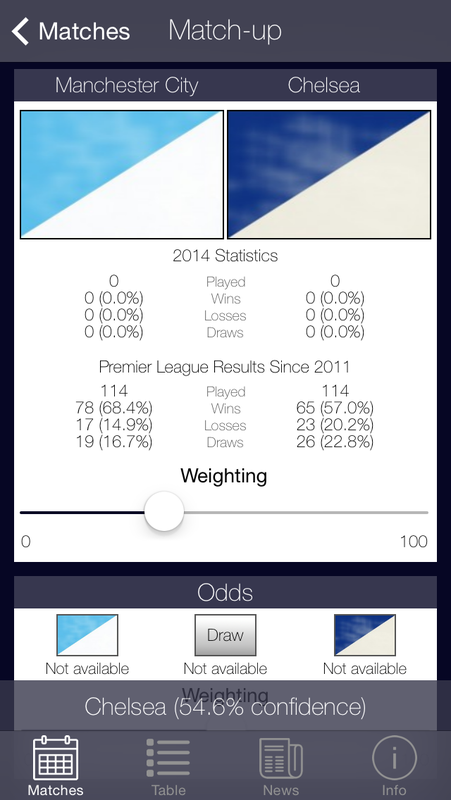 - Years of EPL game data right at your fingertips. - Constantly updated news feed to keep up to date with the latest news at every EPL club. Tip Ammo is the ultimate assistant, research and advice tool for EPL tippers and punters. We'll help you climb the league ladder. 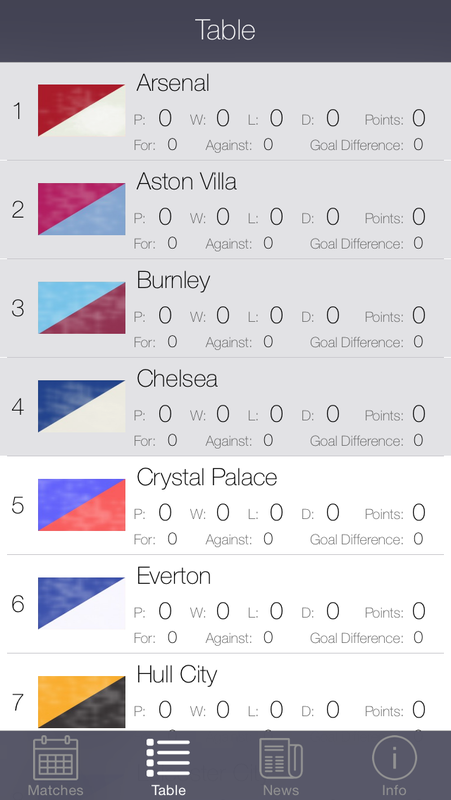 Note: Tip Ammo is an unofficial App and not affiliated with the EPL. All trademarks are the property of their respective owners.